The first time your child picks up a book should be exciting. Their love of learning and reading, you hope, carries through their entire lives. Soon they’re babbling on about their favorite story characters as if they are real people, and you listen with enlightened ears. Then, as the school year starts, their new teacher tells the parents s/he plans to engage the students in weekly literature circles. This is where they will discuss books and readings. This is in your child’s best interest to keep them actively engaged in books and here’s why. First, literature circles teach kids to interact with other students in reference to what they are reading. Students can express their opinions about the characters, themes, and context of the literature. There is room for persuasive discussion and healthy argumentative discussion. Not all the students will like the hero or heroine, for instance. The teacher may also be inclined to have the students read the literature to increase their reading or talking skills, such as getting a shy student comfortable in reading in front of their peers. The teacher may also often assign roles in the literature circle. The narrator develops questions about the big ideas. If it’s a large group, the teacher may also add a discussion director which has the same task. They may ask the students How did you feel when you were reading the book? and other similar questions. The investigator locates passages in the text to read out loud. This helps the group remember the most powerful or funny moments of the text. There may also be a summarizer, whose task it is to write a short summary of that day’s reading. They want to hit the main ideas and most important moments, such as the climax of the story. Then, they bring it to the literature circle and share it. Also, there may be a connector, whose job it is to connect the reading to the outside world. How does the hero/heroine’s mission relate to the reader’s life? Another benefit of literature circles is that the kids get to be writers and readers. Often teachers will have students keep literature journals to bring to the circles. This is where they can reflect on what they are reading and their thoughts about it. It’s a fantastic way for the student to continue their discussion of the book as they write 200-500 words. Teachers can choose a specific part of the literature to focus on, such as the heroine and the villain they’re fighting or the theme of the story. There are endless ways to make it fun! 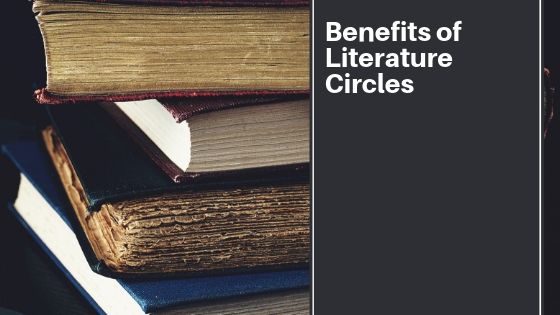 Finally, literature circles are a fantastic way for students to increase their vocabulary. As a child ages, they are going to start reading more difficult books. During these years, help your child embrace these new words by using memorization techniques. For instance, you can put the words and flashcards for easy study. Encourage them and they are going to keep reading. You are certain to have a life-long learner in your family.